So Kenneth Cole has decided to remove their teacher-trashing billboard. Well, that's nice. One billboard down, but meanwhile, Michelle Rhee hasn't yet moved on to doing something more constructive with her life, like watching paint dry. Still, we'll take all the victories we can get. As I've pointed out in this space before, teachers' rights are students' rights; they are not in opposition to each other. Schools that are clean, orderly, and safe are in teachers' and students' interests. Teachers who are well-supported and, yes, well-compensated are teachers who are comfortable and confident enough to grow into passionate, energetic educators, constantly challenging themselves and their colleagues to improve--and all of that is good for the children. Manageable class sizes mean that students actually have some room to move around and the teacher can provide more of them with individualized attention and warm, personal relationships. Fighting the pernicious false dichotomy that is "teachers' rights vs. students' rights" is a battle that we'll probably have to take up for some time. But in the meantime, lady teachers, do you need some new duds? 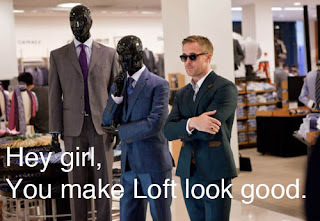 Loft loves teachers. No, really, they do. They put their money where their mouth is. And, pro tip: if you ask nicely, they will almost always let you stack the teacher discount on top of any coupons or other promotions they are running. 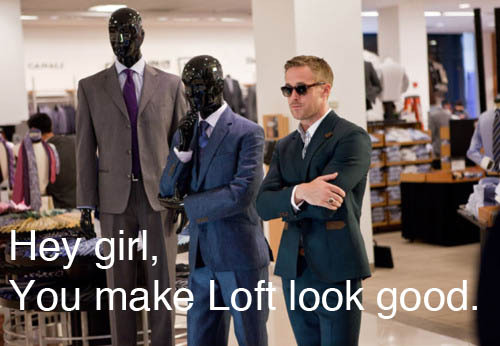 There's a reason why so many of us have closets full of Loft-wear, and not just because Ryan Gosling digs it...in our collective dreams. Because, hey, if we're going to fight the system, we may as well look good doing it. Happy May Day, by the way. I vote for taking the day off!...from, um, voracious consumerism. Or, say, Twitter. Workers of the world unite...at the coffee maker.